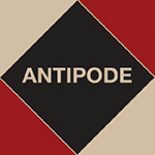 Issue 3 of Antipode‘s 44th volume will be out next month, and in it we have papers on worker co-operatives and spaces of possibility; actor-network theory and the politics of resistance; emissions trading, new enclosures, and ‘eco-social contestation’; NGO activists as ‘strategic cosmopolitans’; critical geographies of alcohol policy; and much more (see here for the table of contents). Here we have one of our authors, Nausheen Anwar, talking about her forthcoming paper ‘State Power, Civic Participation and the Urban Frontier: The Politics of the Commons in Karachi‘. Nausheen’s paper analyses the role of myriad state and non-state actors in a conflict which surrounded the enclosure of a common and its transformation into a securitized zone of consumption in Karachi, Pakistan. This particular ‘drama of spatial politics’, she argues, holds out important lessons for scholars of neoliberalism, governmentality, the commons, and state power. This entry was posted on 10 April 2012 by Antipode Editorial Office in Video Abstracts and tagged civil society, consumption, enclosure, Foucault, globalisation, government, governmentality, Karachi, military, Nausheen Anwar, neoliberalism, Pakistan, South Asia, sovereignty, state power, the commons, the state.